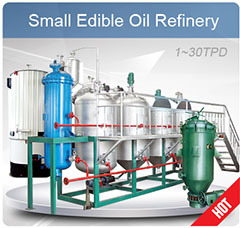 We are one of China's leading manufacturers and exporters of various oil presses and complete set of oil processing plants, with years' praticle experience in vegetable oil processing, we have enjoyed good reputation in this field. 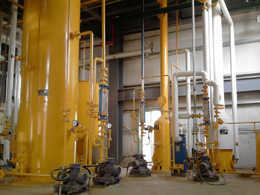 KMEC is an ISO 9001:2000 certified company, we are the leader in oil processing field. 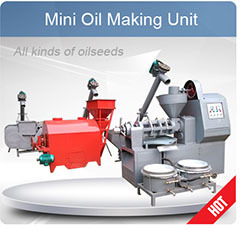 Oil presses we produced can processes different raw materials, of which soya beans, sunflower seed, rapeseed, rice bran, groundnuts, cottonseed and palm oil, are probably the most popular. 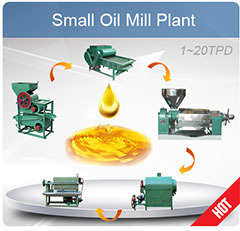 There are quite a different types of oil presses, here we just name a few, the following are two of the most popular models in the global market. Model YZS-68 oil presses are characterizes by simple design, easy operation, high productivity, energy saving, low noise and high oil output rate, etc. Theses oil presses are capable of processing soybean, jatropha,peanut, sesame, rapeseed, cottonseed, sunflower, olive and etc.the grainy seeds of the oil plants, also can used for the rice bran, the germs of corn, etc. powdery raw material and the small batch of wild oil plants as safflower, etc. 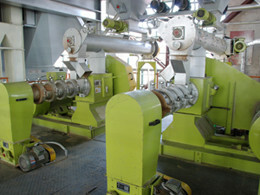 The power is transmitted to pressing screw shaft via reduciton. During its rotating ,the screw shaft pushesraw material moving forwares and break it; Meanwhile,thespace between chamber and screw is getting smaller and hencepressure is increased. 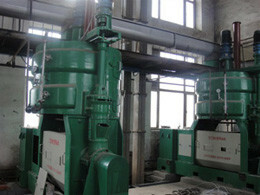 Model 130 oil presses are the latest products based on Anyang independent research and development. This screw oil press remain the virtues of the traditional oil presses, reduces the weakness, adds the automatic heater, one hot extruding for all oil, increases the oil output rate, capable to prepressing for submerging oil workshops. Model YZS-130 oil presses with large capacity and reliable performance, is the first innovation ion China, is the favorite choice to the big and medium-sized sized oil extruding workshops. This oil press characterizes by wide suitability for all kind seeds of the oil milling plants, wining the great satisfaction from customers and the market. 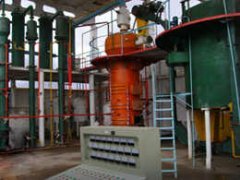 With the development of Bio-diesel, our oil presses have been widely used in the Bio-diesel plant to produce vegetable oil, then the vegetable oil will be used as the raw material for Bio-Diesel production. 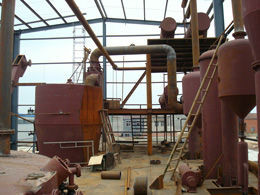 If you are interested in our oil presses, we sincerely welcome you to contact us in the following form!